In March, flooding ravaged parts of Louisiana. Among the hardest hit was Tangipahoa Parish, where at least 1,000 homes took on water. That’s where the Ginger Ford Northshore Fuller Center for Housing has worked for years to build new homes and repair scores of existing homes. 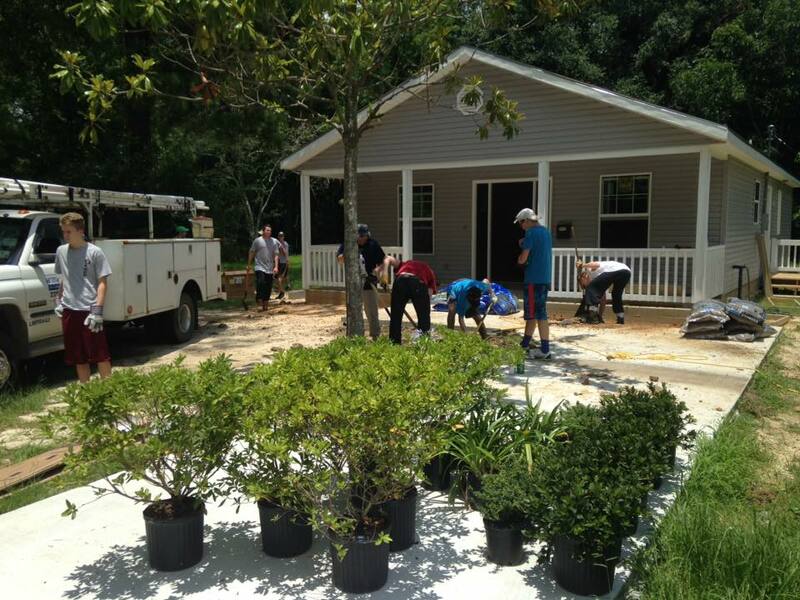 This week, their efforts to help families still recovering from the floods has gotten a tremendous boost from World Changers, which has sent 140 young volunteers from several different states to work with Ginger Ford Northshore. In addition to helping flood victims make long-needed repairs, the volunteers also are building wheelchair ramps and making other non-flood-related repairs. The covenant partner also is hosting a 10-volunteer team from St. Joseph’s Prep School of Philadelphia. At least 19 projects are being tackled this week. 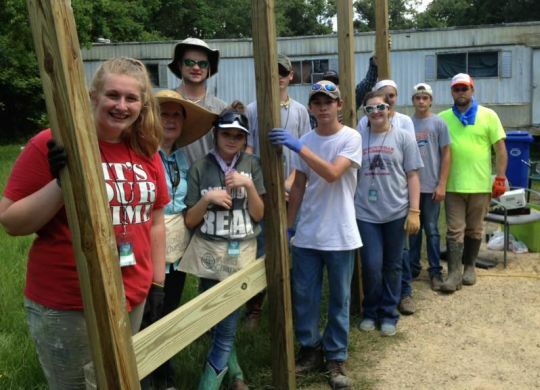 Students from St. Joseph’s Preparatory School of Philadelphia work this week in Tangipahoa Parish, La. Danel said the community’s embrace of the volunteers is key to being able to host such a large group, and their response also makes volunteers want to return. In addition to supplying many hands ready to work, World Changers provides some intangible support to The Fuller Center, as well, by infusing new energy and spirit into the ministry. Danel believes that The Fuller Center and World Changers are kindred spirits and natural partners.